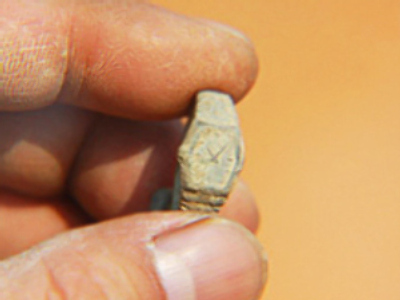 Chinese archaeologists have found a tiny Swiss watch in a tomb dating back to the Ming dynasty, which they believed has been intact for four centuries. The watch was discovered by scientists making a documentary, reports ananova.com website. The out-of-time piece of jewellery was pressed into the soil covering one of the coffins. The watch is stopped at 10:06, and there is the word “Swiss” on its back. Work at the archaeological site has been suspended and experts from Beijing have been called in to help solve this mystery, which appears to belong in a sci-fi flick. Peter the Great’s lost ship found?